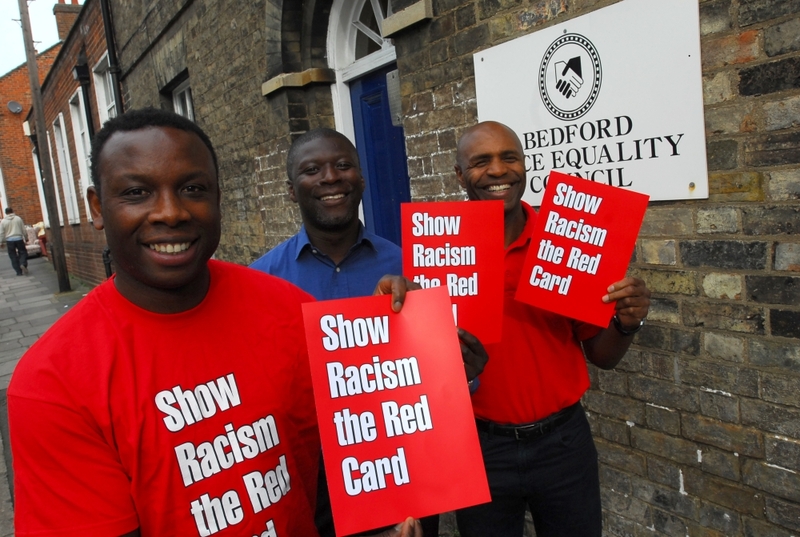 Show Racism The Red Card ambassador Leroy Rosenior said that black players must work with current campaigns and the PFA to eradicate racism. Speaking to BBC Radio Five Live this morning, Leroy said a separate union solely for black players could be counter-productive. “A black union would deal with one issue, but racism is not just a black issue,” Leroy told Five Live Breakfast. Leroy, a former-Fulham, West Ham and QPR striker, said he was glad black players had shown their anger and highlighted the issue. “I’m glad players are speaking up and showing their mettle,” he said, “I’m delighted these players want a voice. "But racism affects more than black players - it affects muslims, before that it was the Irish. Leroy’s comments came ahead of an announcement by the PFA, outlining a six-point action plan they want from footballing authorities. This included speeding up the process of dealing with reports of racist abuse; stiffer penalties for racist abuse; an English form of the “Rooney rule” - ensuring qualified coaches are interviewed for managerial roles; gross misconduct clauses added to player contracts for racist abuse; monitoring the percentage of black managers and coaches; and finally a commitment to wider equality issues - such as gender and homophobia. Leroy highlighted the educational work of Show Racism The Red Card, and the expertise of the campaign, arguing that football is an important vehicle in eradicating racism. “It’s a massive issue,” he told Five Live. “It takes in players’ religion, nationality and their culture as well.